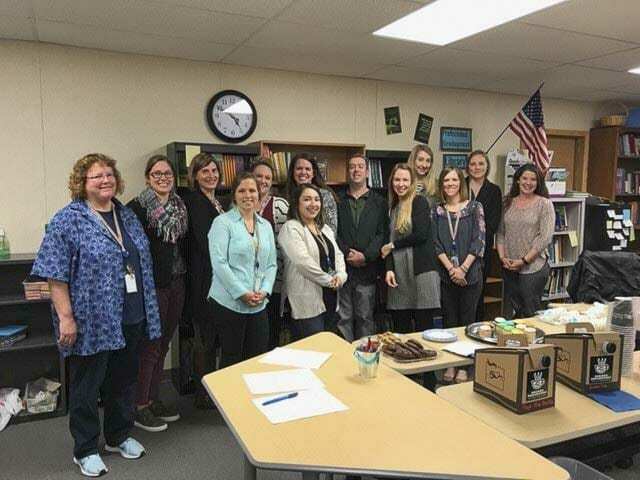 RIDGEFIELD — Ridgefield School District recently recognized staff members who have recently earned the Culturally Responsive Social Emotional Learning (SEL) micro-credential certification. These educators were part of a statewide cohort who, in partnership with the Office of Superintendent of Public Instruction (OSPI), the Professional Educator Standards Board (PESB), and the online platform, Bloomboard, received 20 hours of professional learning related to SEL. Karen Bachle, Megan Suarez, Marianne Mack, Amber Lutes, Monica Deshazer, David Payette, Teresa Vance, Tiffany Quast, Kayla Mitchell, Brooke Bray, Jamie Heim, Lacey Jones, Laura Gutierrez, Andrea McCain, Elena Kuzmenko, and Brittany Rodin.